A spider used to make giant webs right across the back door. 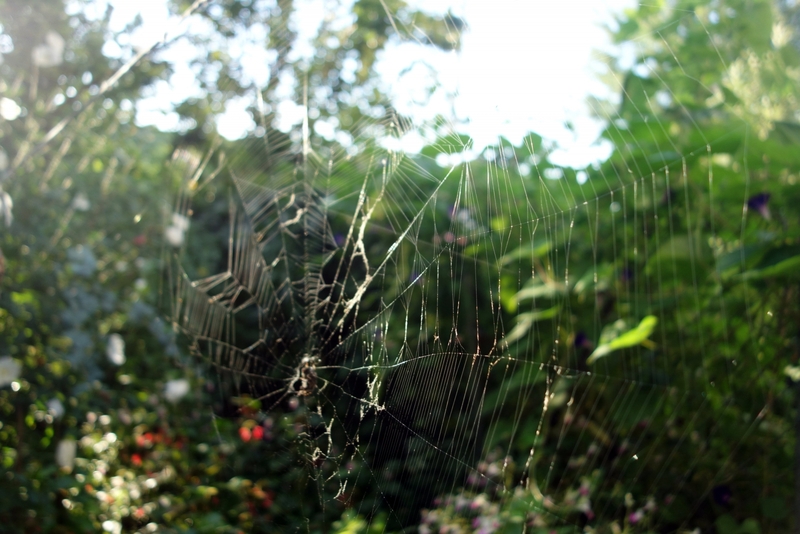 I'd duck and nearly crawl as I went out each morning.Not all of our family members would notice it before it was too late, resulting in very unpleasant stickiness across the face, cursing and a broken beautiful web! I'm glad the spiders have moved construction to safer locations. I still walk slowly waving a hand out ahead of myself to avoid walking through one along the garden path. Oh the webs they spin! Yes indeed! 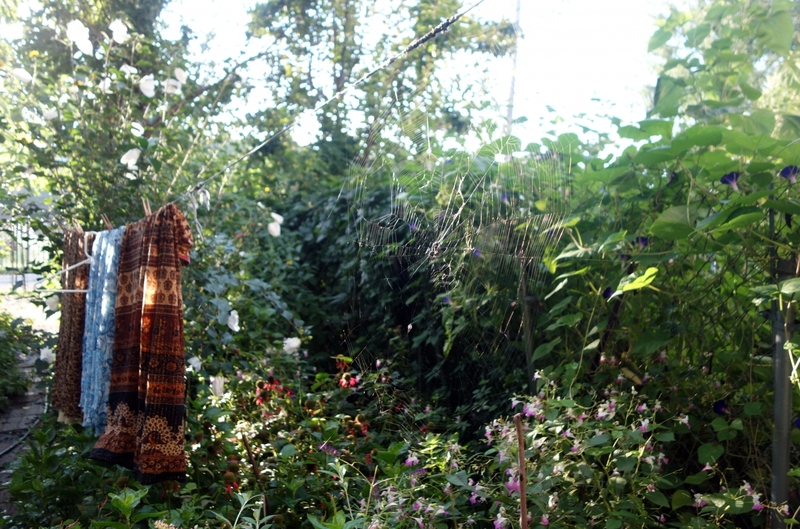 As the summer ripens, the webs get huger!